Should the configurations listed below not meet your requirements, call our Tech Dept. for a custom order. Call our Tech Dept. 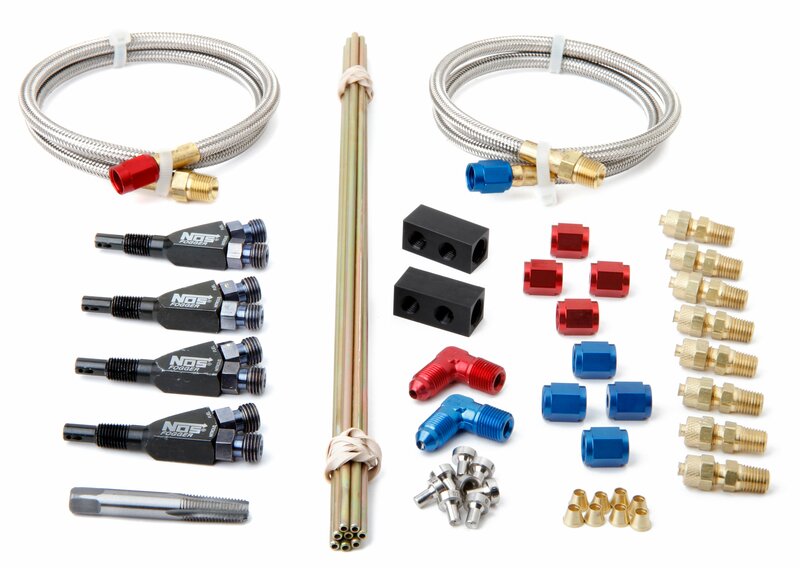 for recommended tuners and plumbing installers. Plumbing kits are also available in "show" version with polished lines, distribution blocks and chrome solenoids (if included in part number). 4 cylinder Inline Sportsman Fogger without solenoids includes: 13700B nozzles, jets for 50HP - Plumbing kits are offered for those needing only the components related to the intake manifold plumbing of a direct port injection kit. Proper quantities of nozzles, lines, jets, and appropriate fittings are included.